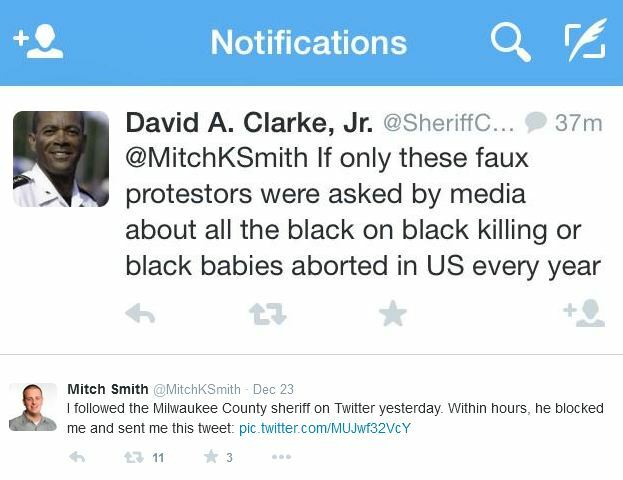 Poppy asked the Sheriff if he sent the tweet, “Yes I did,” Sheriff Clark responded. This blog has proven time and again that abortion targets the Black community. Stats released by the CDC again prove that minorities are killed by abortion in disproportionate numbers. In fact, according to the most recent numbers, 36.2% of the total number of abortions recorded for race or ethnicity were reported on Black women. Mississippi, which currently has only one abortion clinic in the state, had the highest number of abortions reported on Black women coming in at 63.4%. Like this pro-life news article? Please support LifeNews during our End of Year fundraising campaign with a donation! It is a known fact that a majority of abortions are performed by Planned Parenthood. Despite their founder’s link to the Klan and the racist eugenics movement, not one protest from the Black Lives Matter movement led by abortion advocates like Rev. Al Sharpton has been organized outside Planned Parenthood. Even when Planned Parenthood left a 24-year-old Black woman bleeding to death in their Chicago clinic, Sharpton said nothing. That woman’s name was Tonya Reaves and the only protests on her behalf were organized by black leaders within the pro-life movement. So that begs the question, initiated by Sheriff Clark, if Black Lives Matter, and they certainly do, why is it that the one place known for killing off black babies and a black woman is not being protested?